Discussion in 'Thai' started by Mahalo, Jan 6, 2015. Yes, she's prego which why she agreed to marry her boyfriend. I think so, she's was just on the news recently. here a photo of her and her man. He's a Bike racer. picture cerdit: to their IG. Actress Vicki Sunisa Jett and Actor Chai Chartayodom Hiranyatithi are expecting!!!!! Koy123 and AdeNike like this. Speaking of Pat N, pictures of her wedding are all over instagram. Congrats to Pat Napapa and Akarakit Worarojcharoendet!!! I like Pat's dress, very princess-y, though the big sleeves are a bit of a distraction. Is it a daughter or son?? I'm not so sure, I think its a boy. Actress Janesuda Parnto and husband Paul Sirisant welcome their boy Quinn Sirisant. Today is Gubgib and Bie's wedding reception. Man I love Mario when he was with Gubgib but her husband is actually really hot too! 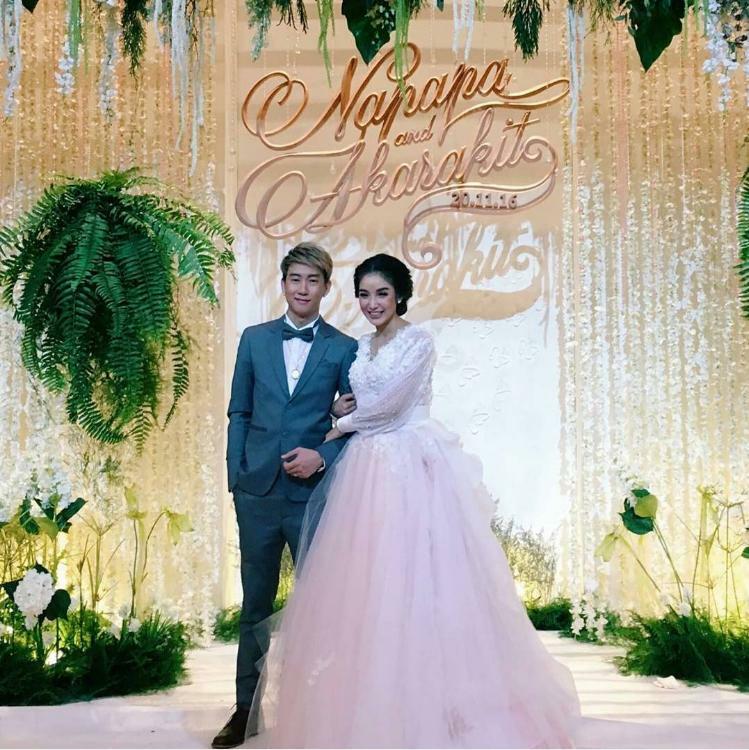 Congrats to Chompoo and Nott!! I didn't know she was even pregnant. Sukullawat Kanarot/Peechaya Wantamontree. I just would like to know if they are couples in real life. Their chemistry is amazing and very awesome. thank you.